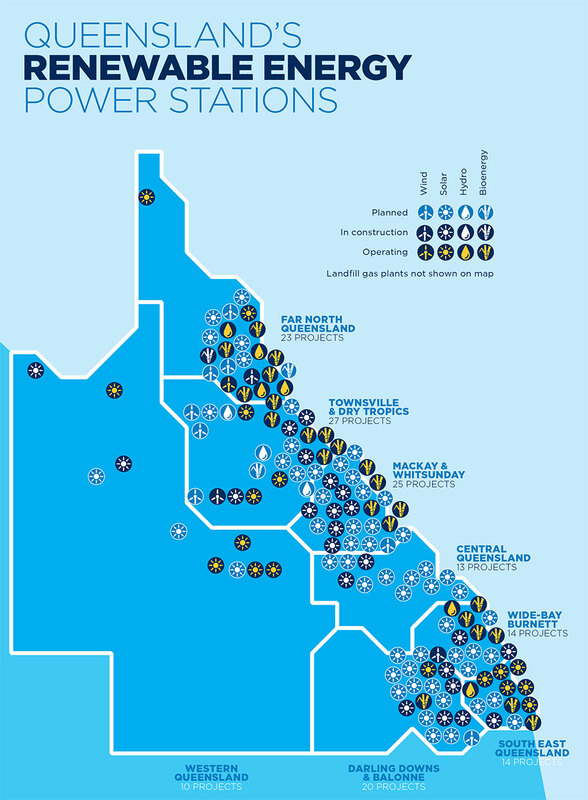 Our new Renewable Energy Across Queensland’s Regions report is a first-of-its-kind analysis of the growth of renewable energy industry in Queensland, region by region. View the statewide summary brochure here. The report—written for Solar Citizens by respected industry analyst Tristan Edis from Green Energy Markets—shows that a staggering 90% of Queensland’s electricity needs could be met by the renewable projects currently in the planning pipeline and the spread of rooftop solar.